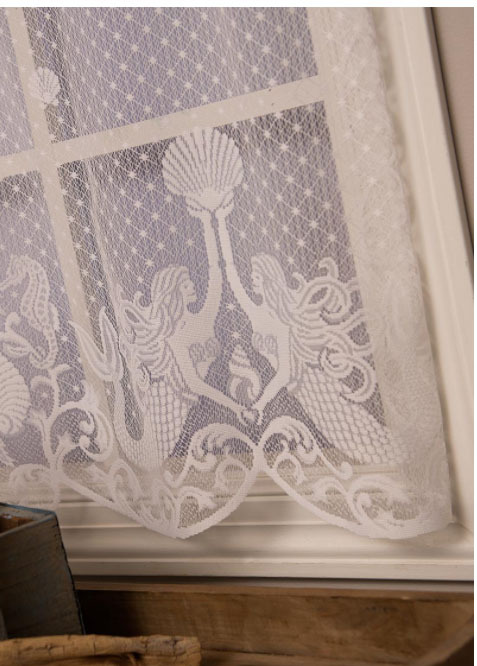 Great style for the bathroom in a beach cottage! 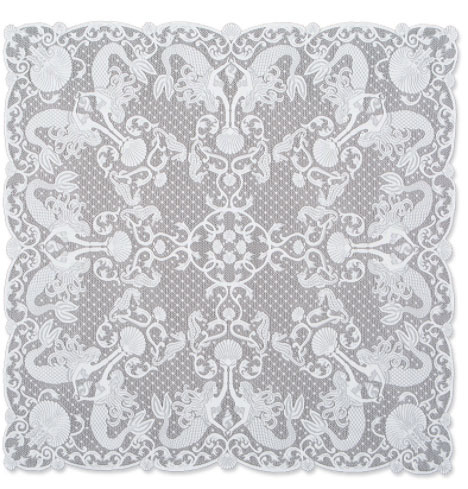 Mermaids and seahorses frolic on a sheer lace background adorned by seashells. 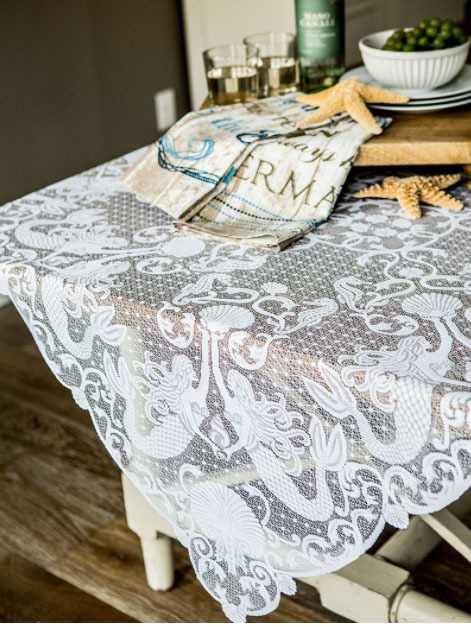 Great style for your beach cottage. Available in white only.